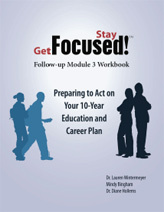 The third and final Get Focused...Stay Focused!® follow-up module asks students to put into action all they’ve learned about themselves, higher education, and the world of work. Each day brings the end of high school a little bit closer so, with graduation looming, students have big decisions to make. After high school, are they going to continue their education in college? Enter a post-secondary training program? Go straight into the workforce? They’ve explored a variety of career and education options and they have an idea of the path best suited to their lifestyle choices and their future plans. As they begin Module 3, they are ready to take action and apply to college or post-secondary training programs; create and refine key documents necessary for college and workforce entry; and develop a Skills-based Education Plan aligned with their chosen career path. At this point in the process, students should be continually reminded “college versus the workforce” is not an either-or choice. The information and the skills covered in Module 3 will come in handy, regardless of the path they choose. 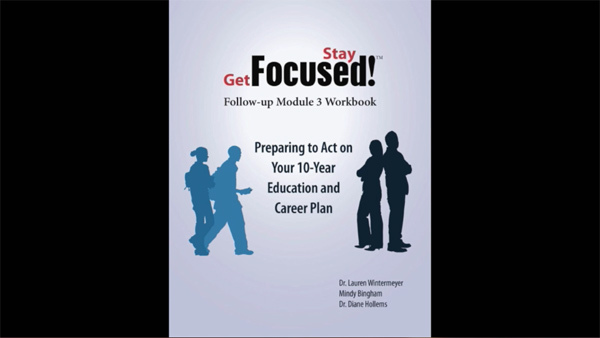 In Get Focused...Stay Focused!® Module 3, students develop and start executing step-by-step plans for applying for college, scholarships, and jobs. They create or update some extremely important documents: their résumé, a personal statement, and college and scholarship essays. Students also practice business writing by crafting cover letters, thank-you notes, and even a letter of resignation. They also learn the secrets behind good interviews and hone their skills through mock interviews. 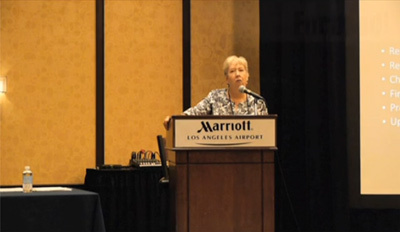 It is an exciting time for students, and not just because they are embarking on a new part of life’s journey. They are transitioning to adulthood during a period of major societal and technological change that allows them to learn in ways most of us never thought possible. Along the way they’ll discover that education planning is an on-going process and that’s just as necessary in the workforce as in school. As they practice identifying the skills they need for workplace success and research ways to get those skills, they come to understand they are embarking on a life-long learning journey. Senioritis? Not when students understand high school graduation is a transitional step and not the end goal. They’ll stay focused as they prepare themselves for not only their post-secondary education but also the career of their choice. As long-term planners rather than short-term thinkers, instructors won’t have to work to convince students to make the most of every educational opportunity open to them.